Dito Yuwono (b.1985) works as a visual artist-curator in Yogyakarta - Indonesia. He graduated from Mass Communication Study in the Faculty of Social Science and Politics. Dito’s artistic practice is varied between photography, mix-media installation, video, and performance. Dito is especially interested in working with community and recollecting memories to find the link between memory-citizen-history. His work often serves as a form of storytelling using personal approach to subtly grasp the bigger picture of socio-political environment. These issues are often brought up in every residency and projects that he does in Indonesia and abroad. In the past five years, Dito did numerous residencies as part of his artistic practice; such as 98B COLLABoratory – Philippine, The Northern Center for Contemporary Art – Australia, Ruang Rupa – Jakarta, and Village Video Festival – Jatiwangi Art Factory, Indonesia among others. Some of his latest projects are “The Memories of Unidentified Experience” (KKF – Yogyakarta, 2014), “Recollecting Memories: Tukang Foto Keliling” (Kaliurang – Yogyakarta, 2017 and Ruang Rupa – Jakarta, 2015), “Geography of Here and There” (NCCA – Darwin Australia, 2016), and "The First Political Space Called Home" (Cemeti Institute for Art and Society - Yogyakarta, 2017). In 2011, he co-founded an independent art space that aims to build a supportive and positive environment for young artists in Yogyakarta, Indonesia: LIR Space. LIR Space is focusing on a laboratory platform as alternative education for young artists, creating research-based art projects, and using independently-published book as an alternative space for exhibition. Aside from working as an artist, Dito Yuwono is also part of LIR Curator Collective, focusing on research-based art project presented in experimental artistic approach. “MANIFESTO 6.0: MULTIPOLAR”, National Gallery of Indonesia, Jakarta – Indonesia. “Most Things Happen when I am Asleep”, Artspace NZ, Auckland – New Zealand. “Assembly of Access”, TIFA Working Studios, Pune – India. “Jimei X Arles International Photo Festival 2017”, Xiamen – China. “900mdpl”, Kaliurang, Yogyakarta – Indonesia. “The History of Boys: The Mes 56 and Beyond”, Deck, Singapore. “Identity Crisis: Reflections on Public and Private Life in Contemporary Javanese Photography”, Johnson Museum of Art, Cornell University, Ithaca – United States. “Village Video Festival #8”, Jatiwangi Art Factory, Jatiwangi – Indonesia. 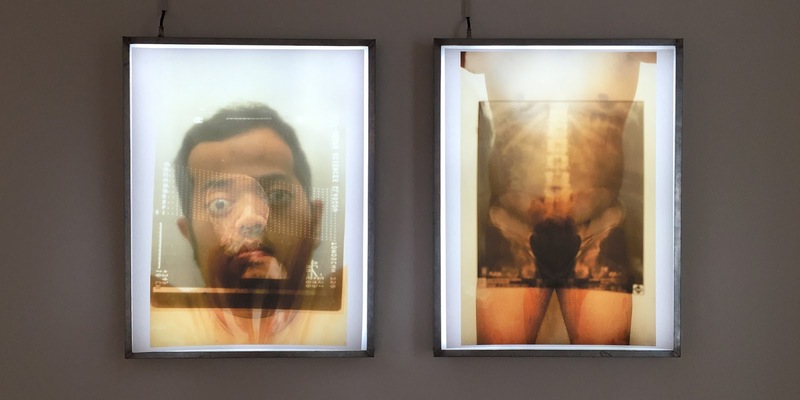 “PROOF Photo Exhibition”, Northern Center for Contemporary Art (NCCA), Darwin – Australia. “Indonesia in Song Eun: Mes 56 - Keren dan Beken”, Song Eun Art Space, Seoul – South Korea. “The Creatures from the Black Lagoon”, Mayfair Gallery, Darwin – Australia. “Seni Indonesia Berkabung”, Pusat Kebudayaan Koesnadi Hardjasoemantri, Yogyakarta – Indonesia. “Poetry of Space”, Kedai Kebun Forum, Yogyakarta – Indonesia. “Manifesto No. 4”, National Gallery of Indonesia, Jakarta – Indonesia. “Arte 2014”, Jakarta Convention Center, Jakarta – Indonesia. “1x25 Jam”, Cemeti Art House, Yogyakarta – Indonesia. “Disana Project”, Cemeti Art House, Yogyakarta – Indonesia. “Constellation”, Blanc Gallery, Manila – Philippines. “Feels Like Home”, Kelas Pagi Yogyakarta, Yogyakarta – Indonesia. “Bela Bangsa”, LirSpace, Yogyakarta – Indonesia. “Archive: Reclaim.doc”, (Part of Melawan Lupa Project by Ruang Mes 56), National Gallery, Jakarta – Indonesia. “Dies Natalis XXVII Institut Seni Indonesia” (Part of Melawan Lupa Project by Ruang Mes 56), Indonesian Art Institute, Yogyakarta – Indonesia. “ArtJog 12”, Taman Budaya Yogyakarta, Yogyakarta – Indonesia. “3Point Award” (Part of Photography Month by French Culture Center), Rumah Pagi Yogyakarta, Yogyakarta – Indonesia. August 2015, Selected as 30 finalists of Bandung Contemporary Art Award #4 (BaCAA #4), Bandung. July 2011, Selected as one of three artist awarded by 3Point Award and Ruang Mes 56, Yogyakarta.